Paul (Paweł) is born in Gluszyna (formerly part of South Prussia, today part Poznan is a city in Greater Poland. ), the youngest child of the family. His sister Isabella was eight years, and his brother Peter (Piotr) was four years older. Paul's father dies, the family leaves Gluszyna. After the death of his mother, his aunt takes Paul to Warsaw. Paul enters the Pijars' College for noblemen. He goes to Cracow. Nothing is known of his life until 1817, when his brother Peter (Piotr) finds him and makes him reunite with the family at their sister's estate in Skubarczewo. Under pressure from his brother-in-law Strzelecki probably served in the Prussian army in the 6th Regiment of Thuringischen Uhlans, at the time known as „Polish Regiment” because so many Poles served on the staff. But he soon absconds from the service. Paul probably stays at Wieckowice as a tutor to young Vincent Turno. He falls in love with his pupil's younger sister, Adyna (born 1805). Adina's father rejects Paul's proposal to Adina. The young couple unsuccessfully try to elope, and they are forced to split. Paul goes abroad, and he probably travels around Europe. He develops an interest in science, agriculture and meteorology, particularly volcanoes. While in Rome, he befriends the old Count Francis Sapieha. Paul is offered a position as manager / administrator / of the Count's Sapieha estates and he goes to Lithuania. 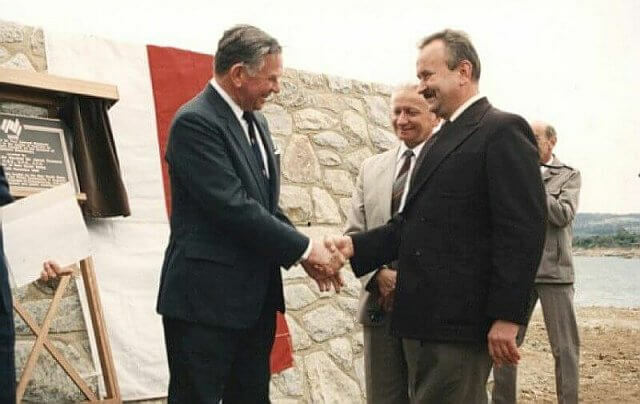 Count Sapieha dies leaving Paul E. Strzelecki a substantial legacy. His son pays Strzelecki 12,000 ducats. Ducat weighed 0,127 oz including 0,123 oz of pure gold i.e. about £ 6,000 for one ducat. It is believed that Paul then travels to Russia, France and Africa. He arrives in England, travels extensively through the country, visits Scotland. He studies agriculture and farming methods. Paul leaves Liverpool on board a ship „Virginian” bound for New York. He travels around North America. Being especially interested in the culture and life of Indian tribes, he spends some time living with them and doing ethnographic research. On his visits to Canada and Mexico he explores the geological features and agriculture of the regions. Journey to South America. He spends the next two years on researching the geology and meteorology of Brazil, Argentina, Uruguay and Chile. On board English ships he sails along the West Coast of both Americas. In July he sails to Marquises and Hawaii. He climbs volcano Kilauea and makes extensive notes on rituals and customs of the indigenous population. From November to January 1839, he stays on Tahiti as a guest of the Queen Pomare IV. He performs the duties of a juror during the first English-style trial on the Island. Strzelecki visits New Zealand - in January the town of Kororareka (now Russell). Then conducted thefirst ever geological surveyof the Island. On board the „Justine” he arrives in Port Jackson, Sydney. At a dinner party held by the Governor, George Gipps, Strzelecki meets Lady Jane Franklin and receives an invitation to Tasmania. Strzelecki sets off on a 3-month journey to the Blue Mountains, and Grose River, accompanied by two ex-convicts. One of them, „Keena” (John Kent, James Folan) will stay in his service until Strzelecki's departure from Australia. Strzelecki discovers gold and silver veins in the area of Bathurst (at the Vale of Clwydd). He has not enough „time and men to trace them to their proper sources”. On his return to Sydney Strzelecki reports to Governor Gipps and is asked not to reveal the gold discovery. Strzelecki lives in the Australian Club (former Poultney Hotel) at the corner of Bent and O'Connell Streets. He becomes an honorary member of the Club. He meets and befriends James McArthur from Parramatta. He also meets Carolyne Chisholm. He meets an Australian geologist Rev. W. B. Clarke, at a party held by the captain of an American marine expedition on Antarctic waters. Strzelecki toasts Polish and Anglo-Saxon credits in fights for freedom (he most probably mentions the name of Thaddeus Kosciuszko). The second Strzelecki’s expedition to Yass Upland in James McArthur’s company. He spends Christmas on John McArthur’s farm in Camden. Paul Edmund Strzelecki climbs and names Mount Kosciuszko. He also names Gippsland, the area on the other side of the Dividing Ranges. The expedition meets indigenous inhabitants of Gippsland. Strzelecki sails to Launceston, Tasmania. He establishes his laboratory there, at Dr William Pugh’s house. He concentrates on meteorological measurements. Meanwhile, in Sydney, The Colonist publishes a stinging article about Strzelecki's discoveries, in defense of McMillan's rights to the title of discoverer of Gippsland. The Sydney Morning Herald publishes a fragment of Strzelecki’s diary from his journey on geology & minerals. Strzelecki’s report for His Excellence Sir George Gipps is published in Parliamentary Papers in Sydney. would accrue to the colony from the doing away with vegetation, by overstocking the pasturage, or by burning it, - a practice which, far from improving the grass, as some have imagined, only subtracts from the soil the most essential conductor of moisture, or medium of condensing it in the form of dew or shower”. 4th Tasmanian expedition to the Bass Strait islands with the HMS Beagle, Captain John Lort Stokes. Strzelecki survives a thunderstorm on the slopes of Ben Lomond (Northern Tasmania), and discovers the coal deposits there. He becomes a friend of Governor Sir John Franklin and Lady Jane Franklin. They make plans for irrigation of the agricultural areas (drought destroyed the low land of Tasmania in 1841). Strzelecki climbs the highest peak of Flinders Island (captain Stokes later names it Strzelecki's Peak). Together with Franklin, they establish the Tasmanian Society of Natural Sciences and the magazine Tasmanian Journal. He organizes Liverpool Plains expedition to Newcastle area and Port Stephen. Leaves Sydney for the Great Coral Reef, Bali, Singapore, Hong, China and Cairo are on his way, on the barque „Anna Robertson”. Francis Corbould brings him £400 in lieu of a farewell gift from the Tasmanians. The money will be used to partially cover the cost of publishing the book:Physical Description of new South Wales and Van Diemen's Land. _Download_ and reading this book (in file). This is the first so thoroughly scientifically book about Australia. If you have not installed Adobe Acrobat yet - you _can use this link_ downloaded free. Paul Edmund de Strzelecki completes his geological analysis of the Australian samples, thanks to the Laboratory of Environmental Geology in London. The Franklins return to London. Strzelecki helps Sir John to prepare a brochure on Tasmanian problems. Sir Franklin sails away on his last Arctic expedition. He receives Strzelecki's book on Australia, fresh from the press, as a travel reading. Strzelecki sends a copy also to the Raczynski's Library in Poznan. „ My chief object in it, was to encourage emigration of capital and men to the two Colonies, and attract the attention of the Government to the important part which this offshoot will play in the welfare and economy of the British Empire”. Strzelecki becomes a British citizen. and displays his huge geological map of NSW and Tasmania for public viewing. At Sir Sidney Herbert's, Strzelecki meets Florence Nightingale. He goes to Ireland in the capacity of an agent in North of Mayo, Belmullet and the Barony of Erris of the British Association for the Relief of Distress in Ireland and the Highlands of Scotland (the British Relief Association). He gets sick with typhoid fever. 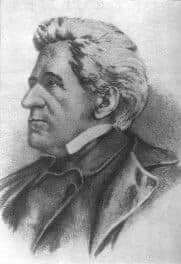 Delegated to Dublin as a Commissioner, he begins organizing bakeries, introducing new edible alternatives to potatoes (like turnips, or a popular Polish food, rye bread), and feeding children in schools. For his services during the famine in Ireland, Strzelecki is decorated with The Most Honorable Order of the Bath, as one of its very first non-military recipients. Strzelecki to Sir Henry de la Beche offering eight boxes of Australian fossils and minerals plus 2 maps to the Museum of Economic Geology in London. Carolyn Chisholm initiates the Family Colonization Loan Society, with Strzelecki as a Committee Member. Strzelecki becomes a member of the Royal Geographical Society. In Australia, a controversy around the discovery of gold flares up. Hargraves is awarded £ 10.000 for his discovery of gold in Yorkers Corner/Ophir. During the Crimean War (1853-1856) Strzelecki is active in the Crimean Army Fund Committee (together with Florence Nightingale). After publication in London brochure supplement to his book, „Gold and Silver” his scientific priority was acknowledged for the discovery of gold. He is present in Constantinople at the ceremony to decorate the Turkish Sultan Order of the Garter. Strzelecki goes to Paris and then to Crimea in Admiral Edmund Lord Lyons' entourage. „I knew Count Strzelecki well: he was an intimate friend of Lord Palmerston; and was supposed to be employed by him in more or less secret investigations. McClintock's rescue expedition dispatched in search for Sir Franklin and his people. Strzelecki collected £ 3.000 as a contribution. McClintock confirms the death of John Franklin. A Canadian bay is named Strzelecki Harbor. The University of Oxford awards Strzelecki the honorary degree of Doctor of Civil Law. After the death of his friend, Sir Sidney Herbert, Strzelecki helps Florence Nightingale to campaign for his Memorial. Strzelecki meets Adyna in Geneva, Switzerland. „five years' explorations in Australia, the discovery of gold, the discovery of new territory accessible to colonization, and finally for the construction of topographical and geological maps, based on astronomical observations”. Strzelecki spends the winter 1872 / 73 in the south of Europe. His liver illness is incurable. He dies in London. He is buried at the Kensal Green Cemetery. 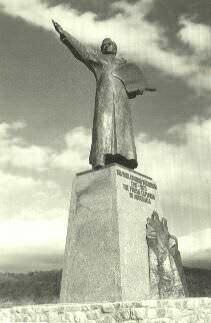 A monument of Strzelecki in Jindabyne, erected in November 14 1988 in celebration of two-centuries of Australia as a gift from the Polish government. 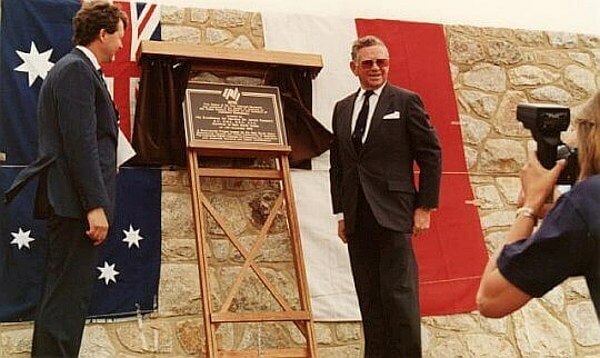 _Unveiled by Sir James Rowland_ cos2 - the Marshal of the Australian Aviation - the Governor of New South Wales on behalf of Australian authorities, and Tadeusz W. Młyńczak - the President of Polonia Association on behalf of the Polish authorities.